There is no end to world-class hotels to choose from in and around Lisbon, but be warned that prices can double in the high season, particularly on the Cascais and Estoril coast. Most of Lisbon’s best hotels are clustered downtown, between Praça do Comércio and the top of Parque Eduardo VII. The area around the Castelo São Jorge also offers some exciting hotels in the historic cradle of the city. Here are some of the top recommended hotels in Lisbon. The 5-star Altis Avenida Hotel is a true example of a trendy and modern hotel experience. Placed in Lisbon’s acclaimed centre, this hotel will match your idea of the perfect urban holiday. Surrounded by fantastic landmarks, main shopping areas and fabulous sites, you can be sure to be entertained in this one-of-a-kind city. Offering you the best in luxurious amenities and accommodations, the Altis Avenida is the ideal destination for you. In an exceptional location right on the waterfront in Belém, Lisbon’s cultural heart, enjoy cutting edge architecture, outstanding quality and superlative style at the five star Altis Belém Hotel & Spa. Classic style and service combine with contemporary architecture at the five star Dom Pedro Palace Hotel Lisbon. Comfort, convenient access and a full range of facilities, including a luxurious spa, make it ideal for the discerning business or leisure traveller. Its prestigious location, beautiful garden, sumptuous accommodation and outstanding facilities make the five star Olissippo Lapa Palace Hotel one of the finest in Portugal, but it is the meticulous attention to detail and service that will make your stay truly special. In Lisbon’s chicest district, surrounded by its most vibrant nightlife, the boutique five star Bairro Alto Hotel’s historic building, unique contemporary style and personal service make it a favourite with discerning travellers who want to be at the throbbing heart of it all. The five star Pestana Palace Hotel, an imposing nineteenth century palace in a verdant garden, has been chosen as Portugal’s leading hotel on several occasions. The finest quality and the historical atmosphere will make your stay here unforgettable. On the chicest avenue in the very heart of the city, the five star Tivoli Lisboa Hotel has become a landmark for its elegance and sophistication. 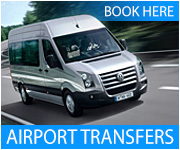 Superbly convenient and exquisitely comfortable, this is the choice of the discerning traveller. In a distinguished seventeenth century palace within a tranquil, central setting, the Real Palácio Hotel combines five star modern comfort and facilities with classical charm and sophistication. At the new 5-star Vintage Lisboa Hotel, savour the unique vintage feel of Lisbon in the contemporary surroundings of this beautifully-restored 19th century building. Enjoy panoramic vistas over the city and treat yourself in the spa of this distinguished hotel, ideally located near to the historic city centre and just around the corner from Lisbon’s most exclusive shopping avenue. Those who appreciate the unique will love the large, luxurious apartments within the stately building in the charming Chiado district. This is truly luxurious accommodation, with unmatched style, attention to detail and personal service. Just off Lisbon’s stylish central avenue, in a quiet, tree lined street, the four star Hotel Aviz still exudes its legendary quality, service and distinction, now combined with all the contemporary comforts the astute traveller appreciates. In Lisbon’s chicest district, adjoining the vibrant nightlife centre, the recently renovated Hotel do Chiado offers stunning views, all the latest modern facilities and stylish design within a historic landmark building. Conveniently located near the airport and Lisbon’s largest transportation hub, the four star Olissippo Oriente Hotel offers modern facilities in a tranquil atmosphere of elegance and luxury in Lisbon’s exciting river-front leisure and business district. The elegant facade of the new, four star design hotel, Jerónimos 8 guards innovative style and warm comfort in a unique location only a minutes walk away from several of Lisbon’s most important cultural sites. Understated contemporary style, a tranquil location just off Lisbon’s stately central avenue, convenient access, legendary comfort and unique style make the recently renovated four star Tivoli Jardim Hotel a favourite with discerning travellers. The striking, modern, 4 star Tivoli Oriente Hotel, right next to the transport centre in the vibrant Parque das Naçoes district, offers comfort and stunning facilities, such as an indoor swimming pool and sixteenth floor restaurant with panoramic views. Perfect for longer stays, the Real Residência Suite Hotel offers all the services and facilities of a modern four star hotel but with exceptionally comfortable suites designed to make you feel at home. Centrally located between Lisbon’s new business centre and the historic area, modern comfort and facilities plus classic charm and service make the four star Real Parque Hotel ideal for your next visit. On the vibrant Rossio Square in the heart of historic Lisbon, the three star Hotel Metrópole offers a central location, beautiful views, modern comfort and the charm of its century of existence. This four star aparthotel has been designed with the most modern and state-of-the-art features. It is a true 21st Century complex, with perfectly sized brand new luxury apartments created to receive you with the utmost comfort and sophistication. The Altis Prime has a “Home Business” concept and is centrally located; close to the Marquês de Pombal square.